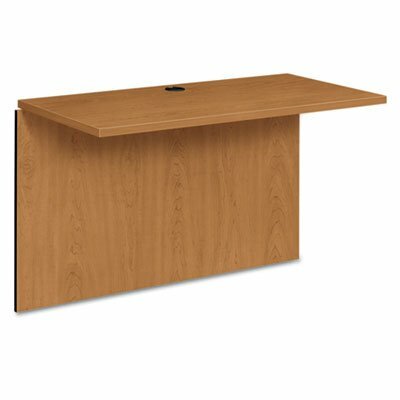 Connects Single Pedestal Desk and Single Pedestal Credenza to form a "U" workstation. Cord grommet on top. Full modesty panel with cord pass-through Color: Harvest; Overall Width: 47"; Overall Depth: 24"; Overall Height: 29 1/2". Connects components to create a space-efficient U-shaped workstation. Durable finish helps reduce scratches. Full modesty panel for privacy.